Maimi spends her day at a shoot and goes out with her mom in her January 9th update “Motsu motsu(= ´∀｀)人( ´∀｀=)“. Full translation below. 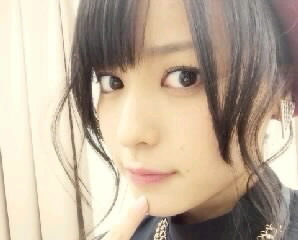 Posted on January 10, 2014, in Blog, Translations and tagged Yajima Maimi. Bookmark the permalink. Leave a comment. MaimiLog is an English-language website dedicated to spreading the word about ℃-ute's leader Maimi Yajima. I will try my best to translate Maimi's entries from the official ℃-ute blog and share all the news I can find so that her English-speaking fans can keep up with her also. My Japanese is far from perfect, but I will try my best to provide accurate translations and information. Enjoy! Be notified by email of new posts on MaimiLog.